You don’t need an introduction. Saint Mark’s Square is one of the most famous Piazze in the world and is certainly one of the most monumental complexes ever visited. Of this Piazza – the only one in Venice, all the others are “campi” (squares)- the rest is known. You can’t escape the marvels that surround it during your stay in Venice: The Doge’s Palace, the Basilica of San Marco, the Bell tower of San Marco, the Bridge of Sighs, are not just sensible objectives for those that love art and beauty. Each and everyone are historical symbols of the City of Venice. Many Paths in order to visit them are mandatory, but with some sacrifice the satisfaction of admiring these locations will be even greater. The ideal would be visiting in the off-season, possibly during winter (we mustn’t neglect the appeal of the fog and high water in the Marciana Piazza) or in spring, when the touristic flow isn’t at its highest level. Cooler climate, less queues and less tourism allow you to have a very unique experience. But every season of the year preserves its charm. One of the most interesting ways to enjoy the spectacle that Saint Mark’s Square offers is seeing it from up high. Changing one’s perspective is always a good thing to do and the points of observation aren’t few: it is possible to climb the San Marco bell tower (8 euros), from the spectacular ledge of the Basilica (5 euros), on the Clock tower (12.50 euros) and even face the square from the Correr Museum windows (18.50 euros for all museums in San Marco). Obviously, for all these solutions it is best to be an early riser to avoid the long lines (even better would be to reserve tickets online). Immersed in so much beauty – the Bridge of Paglia and the Bridge of Sighs – sometimes are at risk of being overseen and are actually two very special places: The monumental halls of the Marciana Library realized by Sansovino and the Royal Gardens, are perfect green spaces to take a moment and breathe in these marvels. 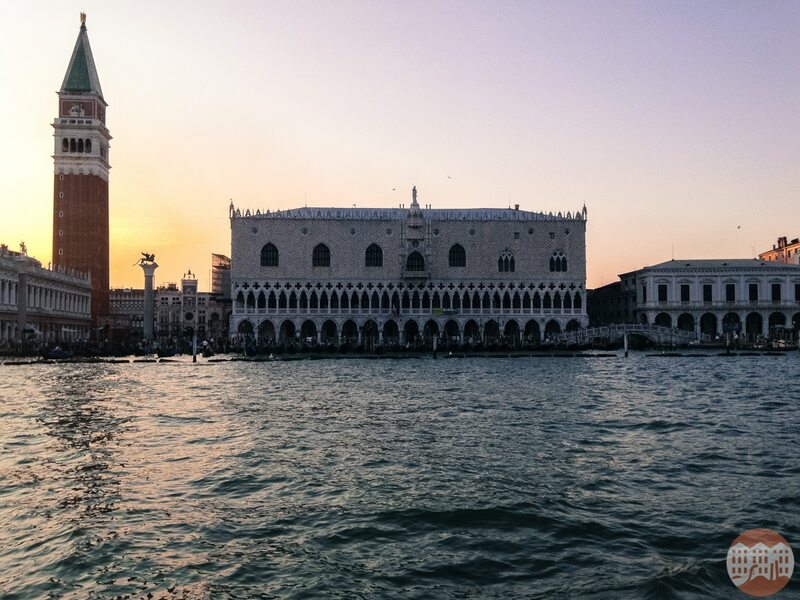 If instead you want to enjoy the serene and classical image, post card picture of San Marco, we suggest you take a waterbus/vaporetto to the island of San Giorgio, maybe at sunset: the spectacular view is guaranteed.